Vital Glow - Wild Carrot Serum Concentrate $55 - Just 2 ingredients, Wild Carrot oil from a small French village and non-GMO Vitamin E. Wild Carrot is rich in Vitamins A, C, and E, they pack a strong punch to fight wrinkles and smooth out the skin. Just mix 2-3 drops with your face cream. Radiant Effect - Green Tea + Lemongrass Serum Concentrate $39 - 3 clean ingredients in here, Green Tea seed oil, non-GMO Vitamin E, and Lemongrass oil. Green Tea is rich in free radical fighting antioxidants and Lemongrass is detoxifying and uplifting. 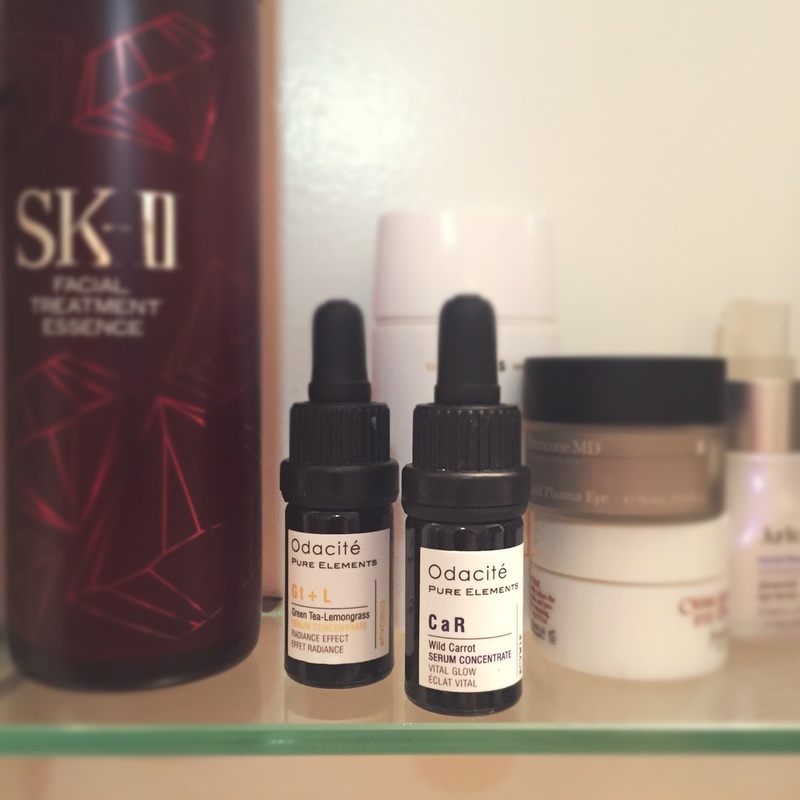 These work together to give the skin a beautiful luminosity, I was so surprised how glowy my skin got, I started to ration this oil for special occasions, but really, at $39 it's a steal. These are the only products I've tried from the line, but methinks I need to invest in a few more! Definitely give them a try to give your current skincare routine a boost! While we take such great care of the skin on our face, often times we neglect the rest of the skin on our body. Nothing worse than face 25 body 55, you know what I mean, smooth tight face, and a sun damaged, wrinkly decollete, or a dull dry looking tummy. These are the fears that keep me up late at night. I extend most of my skincare (and definitely sunscreen) down my chest, but I always worry that while I exercise regularly, the skin on my body will start to age. 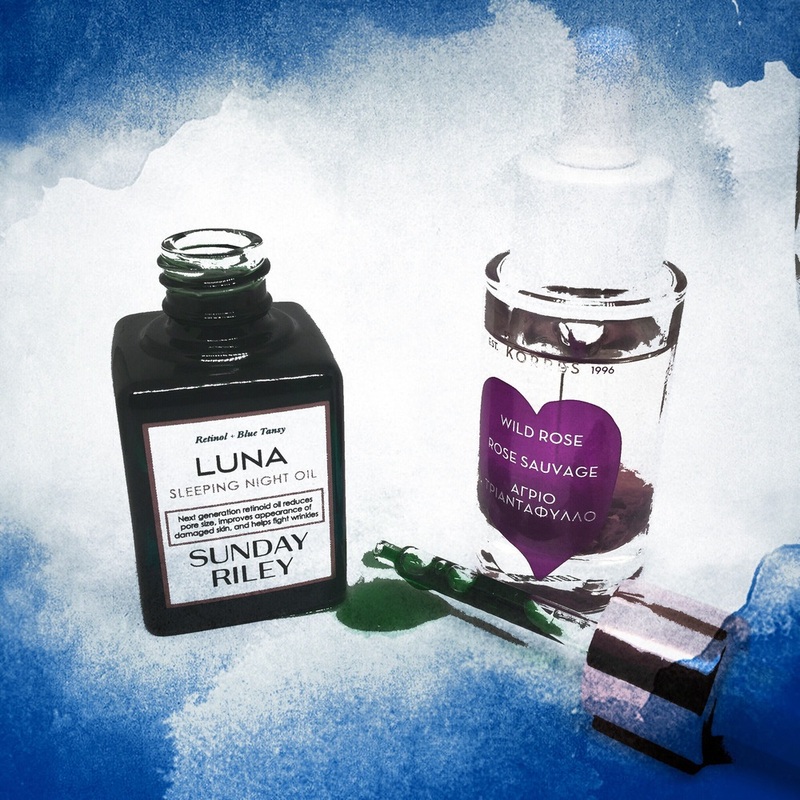 Here's a few body products I'm currently obsessed with that keep my skin soft and supple. 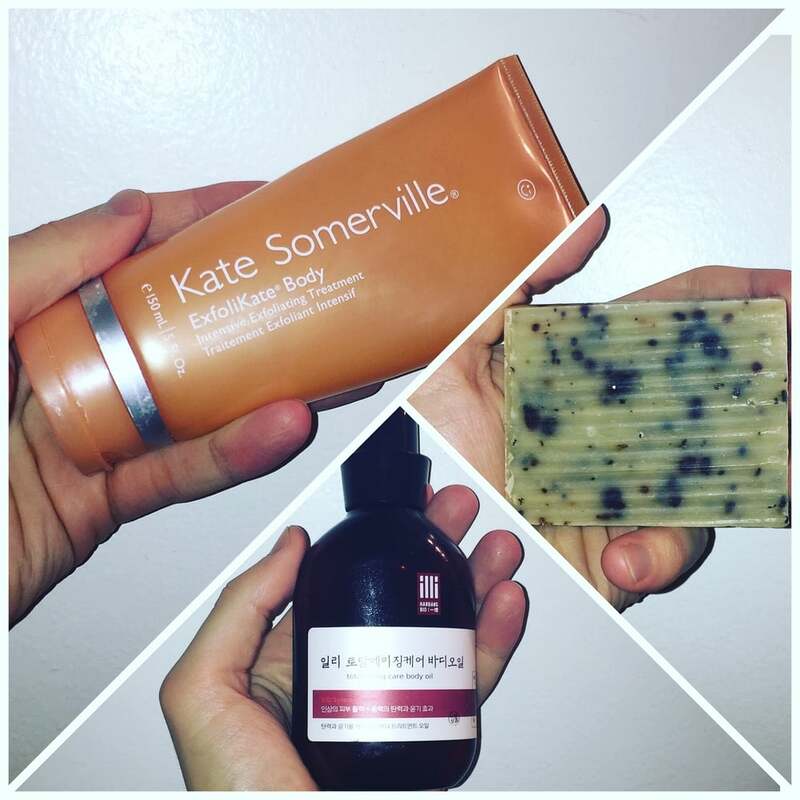 If you're a product junkie, chances are you've used Kate Sommerville's Exfolikate, I recently discovered she makes a body version! I've been looking for a product like this for a LONG time, and nothing else has come close. This body scrub contains some amazing exfoliating and refining ingredients such as Lactic and Glycolic acids, Papaya and Pumpkin Enzymes, exfoliating beads, plus Vitamin E to hydrate, and Caffeine to tighten the skin. I've been using this twice a week for a few weeks now and I'm totally hooked. Use after cleansing, while still in the shower, scrub all over the body (don't use on your face) and leave for 2 minutes. The steam from the shower helps activate the enzymes for deeper exfoliation. This has really smoothed out the texture of my skin and my body moisturizers absorb so much better. Kate Somerville ExfoliKate Body 4.5/5 Stars (only cause the beads can be a little difficult to wash off) $65.